In December 2012 an Ofcom survey was released that showed UK users consumed more mobile data than any other country in the world, including Japan which has traditionally had the highest consumption figures. As such, it is becoming increasingly important that small business managers and website owners have their own mobile websites. Currently, there is no one size fits all solution of how to develop a mobile presence but there are a number of viable options that could benefit you and your organisation. One solution is to have a dedicated mobile site. You can implement code that detects what type of device a person uses before serving them the appropriate website. This enables your mobile website to be displayed on virtually any mobile device whereas an app will only work on a single platform. The site can be found through Google and other search engines too. However, performance can vary as the website will not be written in the native language for all devices. What’s more, mobile websites do not allow the use of mobile phone features. A mobile app is usually created for a specific platform so you can have an iPhone app or an Android app created. Apps are usually created using the native language and this means that it usually offers the greatest speed. It also allows for the use of other mobile phone features, such as the camera, and the apps can work offline once downloaded to a mobile device. This is, usually, the most costly solution and an app will only work on the platform it was developed for. It can prove difficult to gain exposure through App stores. Your website is essentially created within a flexible grid and then, having detected what device a person is using, the design adapts to the requirements for that device. With this type of mobile web design, a website will flow according to the user’s requirements and will even adapt as the phone orientation is changed. The site is easy to navigate and viewable but does not require the creation of multiple sites. Adding more code to make a site responsive may slow more labour intensive pages down, and coding needs to be kept simple to ensure this technique will work. Part of the problem when designing a mobile website or app is the number of devices that may be used to access that site. Desktops, laptops, mobile phones, tablet computers, mp3 players, and even smart TVs can be used to log on to the Internet and open websites. You should consider which of these devices and platforms best suit your market before proceeding with the most beneficial type of website design to allow you to benefit most. Mobile Internet usage has been driven at least partially by social networks, and many people access and use these through the various apps that they offer. The likes of Facebook and Twitter also offer mobile versions of their website so that users can choose how they access their favourite sites. Still not sure? 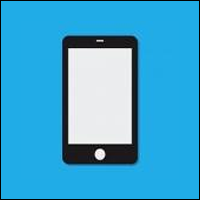 Get in touch with our mobile app development team for an expert opinion.